This has been a busy period of time for me and my choirs since returning back after the summer. 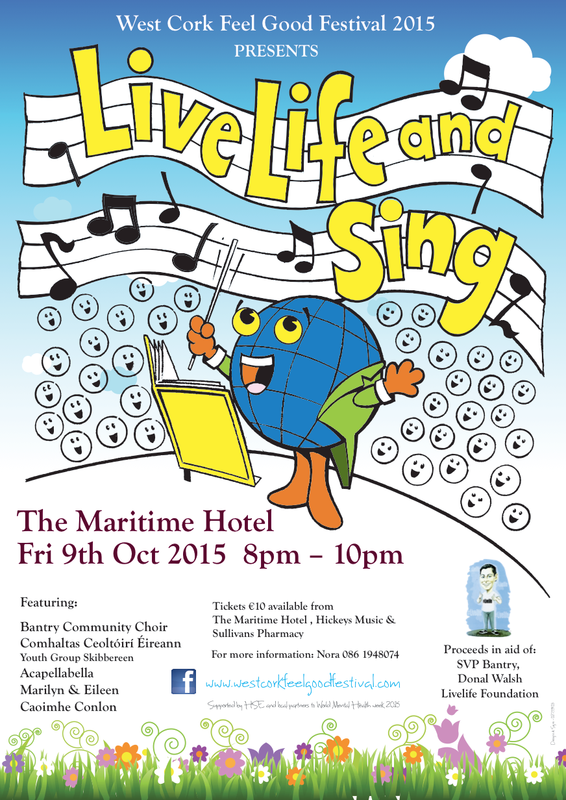 As well as hosting sessions to learn the songs for the West Cork BIG SING! which is being launched at the first ever West Cork Feel Good Festival in Bantry, Acapellabella is busy rehearsing for the Friday evening concert. This new festival is being supported by local organisation to mark World Mental Health Day and to promote positive mental health within the West Cork community. Here’s wishing the event every success. < Previous National Choral Singing Week and the West Cork BIG SING!